Syria’s civil war has created the worst humanitarian crisis of our time. Over half the country’s pre-war population — more than 12 million people — have been killed or forced to flee their homes. According to the United Nations, life expectancy has dropped 14 years, to 56 from 70, since the war began, with an even greater plunge for Syrian men. the U.N. places the war’s economic cost at $255 billion, the nation in effect is bankrupt. Yet the war is not over, the nightmare continues. But we have to ask the question, Why is Russia involved in Syria? Assad was Russia’s old ally. But that does’t mean much to Putin, he has no real interest in saving Assad. Russia does get port facilities in Latakia and an air base, but that is not why Russia is interested in Syria. First of all, Putin understands that there has been a shift in U.S. strategy. He knows there will be no significant military response against Syria or Russia under President Obama. The greatest military response under President Obama was in Libya, which the president regrets deeply, calling it his worst mistake. So Putin saw the opportunity to show strength in Syria. But the chief reason Russia is involved in Syria is leverage. Putin wants to use his authority in Syria to leverage his bargaining ability with America and Germany when it comes to Ukraine. And why is Putin so concerned about Ukraine? Ukraine is of supreme importance to Russia, Syria is not that important. But Russia can use its influence in Syria to deal with America and Europe when it comes to the conflict over Ukraine. 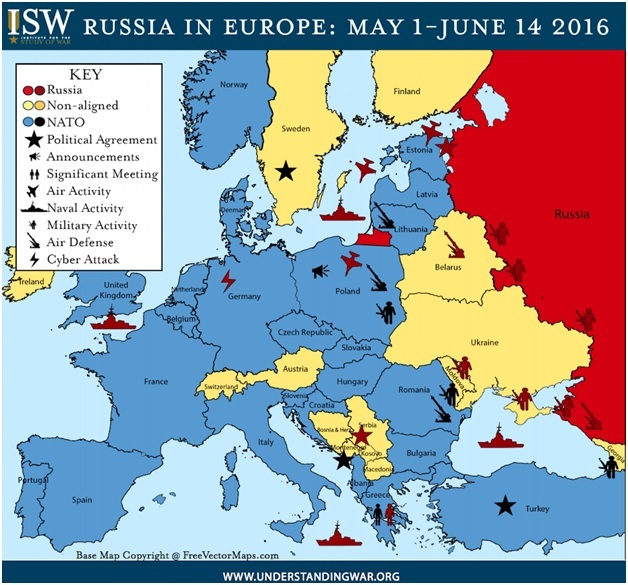 For Russia it is about protecting its western flank. Russia had survived for centuries because of strategic depth in terms of land. Historically, control over the Baltic states (Estonia, Latvia, Lithuania), Belarus, and especially Ukraine had been essential for Russia’s survival. Without this buffer zone, Napoleon, Kaiser Wilhelm II, and Adolf Hitler would have conquered Russia. The last outcome Russia wants to see is having Ukraine move into the European Union orbit. Nor does Russia want to see Ukraine flirting with the United States. Russia is threatened by any American presence in Ukraine. 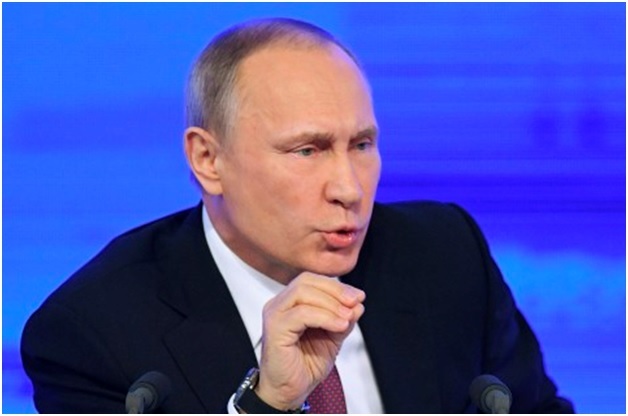 Russia views U.S. actions in Ukraine as an attempt to paralyze or destroy Russia. The U.S. and German fear is that with Ukraine under Russia’s control, Russia would be able to slowly enlarge its influence among former satellites, and from there, into the center of Europe. As of today there is an unofficial truce in Ukraine. The Kiev government remains in place, Russia still holds Crimea, and fighting in the eastern part of Ukraine is not out of control. What 2017 brings will be compelling to see. We now have a new American President. His policy toward Syria, Ukraine and Russia is unknown. For now Europe remains restless—And the tensions between Russia and the 44 million Ukrainians simmers. Will the new President move cautiously when it comes to the Middle East and Ukraine? I am reminded of the proverb found in Proverbs 26:17: “He that passes by, and meddles with a quarrel not belonging to him, is like one that takes a dog by the ears”. That advice applies to leaders of nations as well.